Honored for Having Over 500 Reviews Highlighting Its Top Notch Quality Service! Saratoga Springs, NY – July 20, 2016 – WeddingWire, the nation’s leading online wedding marketplace, is pleased to announce that Music Man Entertainment has reached the prestigious WeddingWire Rated™ 500 Level, by earning more than 500 wedding reviews for Disc Jockey Service in Saratoga Springs, NY. 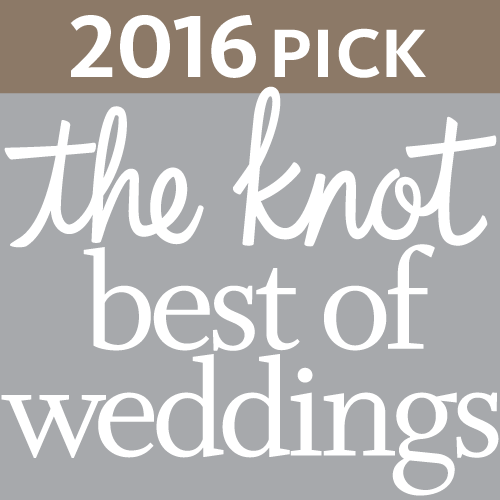 The esteemed WeddingWire Rated™ program recognizes wedding professionals who have received positive newlywed reviews about their business on WeddingWire. Since receiving over 500 wedding reviews, Music Man Entertainment is now placed at the elite Rated™ 500 Level. 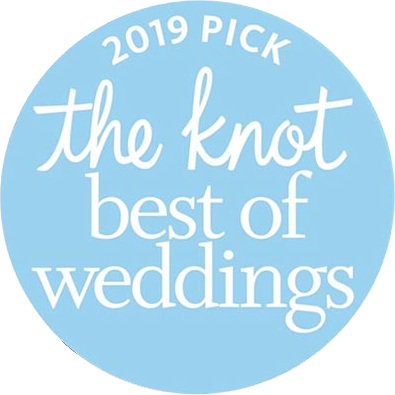 The program recognizes businesses across more than 20 service categories, from wedding venues to wedding photographers, and requires a minimum of three wedding reviews and an average score of 3.5 stars or higher. Within the WeddingWire Rated™ program, there are seven different levels that wedding professionals can reach based on the number of wedding reviews they receive (3, 10, 25, 50, 100, 250 and 500). 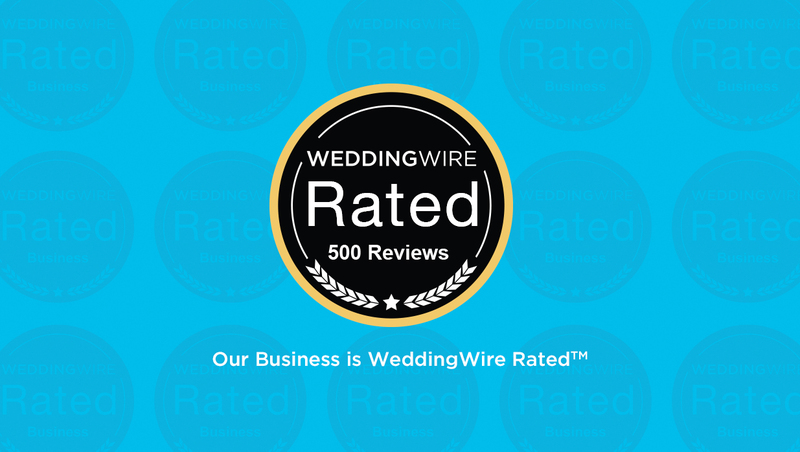 The WeddingWire Rated™ 500 Level is reserved for a select group of businesses who have received 500 or more newlywed reviews. As a member of WeddingWire, the world’s largest wedding review site with over two million reviews, Music Man Entertainment’s advancement to the Rated™ 500 Level is considered the ultimate milestone, illustrating the business’ commitment to regularly providing quality service to their clients. As a WeddingWire Rated™ Black badge-holder, Music Man Entertainment has reached the highest level of achievement on WeddingWire. For more information about Music Man Entertainment, please visit our Website at www.MusicManEntertainment.com. WeddingWire, the leading technology company serving the $100 billion wedding and events industry, is the largest online vertical marketplace connecting engaged couples with event professionals. With more than 2 million consumer reviews, it is the industry leader in consumer reviews. The site enables engaged couples to search, compare and book from an extensive database of more than 200,000 recently reviewed event professionals, from venues to photographers. 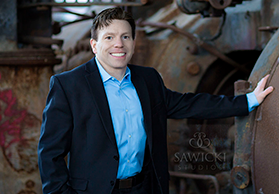 WeddingWire provides event professionals with the technology they need to serve their clients, including a SaaS platform, which powers advertising, marketing, and CRM needs of local wedding and events businesses nationwide. This entry was posted in Awards, NY Weddings, Reviews, Upstate NY Weddings, Weddings and tagged 500 Reviews, 500 WeddingWire Reviews, Albany Wedding, Albany Weddings, Awards, Capital District Wedding, Capital District Weddings, Disc Jockey, DJ, DJ Mike Garrasi, Fun Wedding, Mike Garrasi, Music Man Entertainment, Saratoga NY Weddings, Saratoga Springs Wedding, Saratoga Wedding, Saratoga Weddings, Top Wedding, Upstate NY DJ, Upstate NY Wedding, Upstate NY Wedding DJ, Upstate NY Weddings, Wedding Awards, Wedding DJ, Wedding Reception Entertainment, Weddings, WeddingWire. Bookmark the permalink.